Bob has over 35 years of experience in public accounting. He has extensive experience in taxation and business consulting with a focus on estate and trust taxation. He consults with estate planning attorneys and clients regarding compliance requirements of large estates. Bob’s areas of practice are real estate, insurance, medical, and trusts. He has extensive experience in assisting clients with acquisition and sale of their business and real estate entities. Bob joined Hall & Company in 2014 after 30 years as CEO of his own successful practice in Newport Beach, CA. 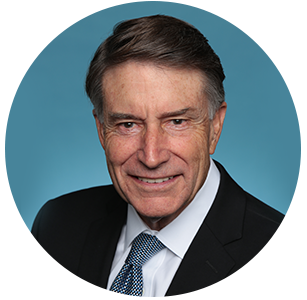 He has contributed his time to the community as past Chairman and Board member of Families Forward and Orange County Coast Keeper in Orange County, CA.